MASPETH, Queens (WABC) -- The man caught on a nanny cam robbing a Queens home was arraigned Wednesday and faces multiple charges, including burglary and assault. 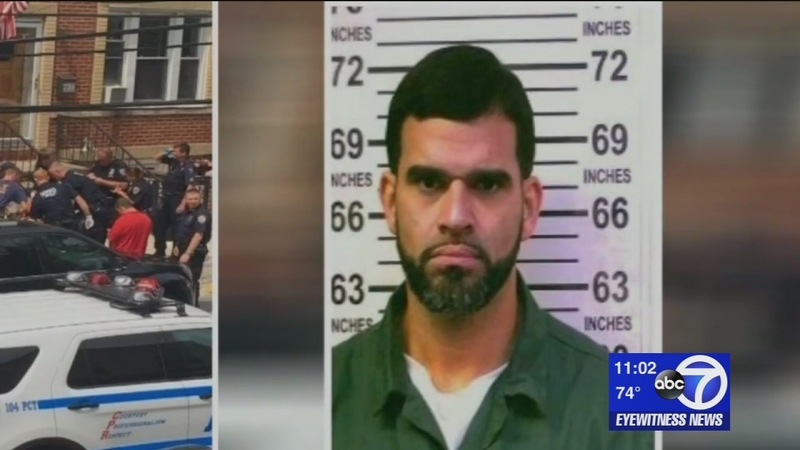 Police say a woman monitoring her nanny camera from her office Monday noticed 37-year old Felix Perez, of Brooklyn, in her Masbeth home and called 911. According to police, a struggle ensued when they arrived on the scene, and an officer shot Perez in the groin. Cellphone video shows the suspect running away after gunfire was heard. Perez's attorney upholds that the shooting was unjustified. "You don't shoot somebody who's unarmed. You just don't," he said. "There are other ways of doing it. You don't somebody in the groin." Perez was released from Elmhurst Hospital on Wednesday.